6-28-18 Duncan Lewis, director-general of the Australian Security Intelligence Organisation (ASIO), recently told a parliamentary hearing that that espionage and interference activities have reached new and dangerous heights. "The grim reality is that there are more foreign intelligence officers today than during the Cold War, and they have more ways of attacking us," Lewis said. Though the federal government had remained hush on the classified report that spurred its foreign interference laws, a number of media outlets have reported that a year-long inquiry found attempts by the Chinese Communist Party to influence Australian politics at all levels. The report also described China as the country of most concern to Australia. China has growing geostrategic interests in the region. It is the largest trading partner with Pacific Island countries, with trade totaling US$8.2 billion in 2017. Beijing’s strategy for achieving its aims in the Pacific Islands is well-established and predicable, says Fanell. It starts with financial aid, political donations and investment that pave commercial inroads and an increase in Chinese migration to the region. After co-opting government officials, invariably a PLA Navy-related military objective emerges, he says…. Recent media reports suggest China aims to establish a naval base at Vanuatu. While Vanuatu’s government and Chinese officials deny such plans exist, Beijing initially denied it had plans for the military base it has since established at Djibouti, on the Horn of Africa. The base, a 200-acre heavily-fortified facility dubbed by at least one analyst as a “mega-fortress”, became operational in August 2017 and is China’s first such overseas facility. Described by Beijing as a “logistics base”, the strategic facility is in reality a launch pad that allows PLA Navy and Marine forces assigned there to conduct a wide range of military operations in the region…. 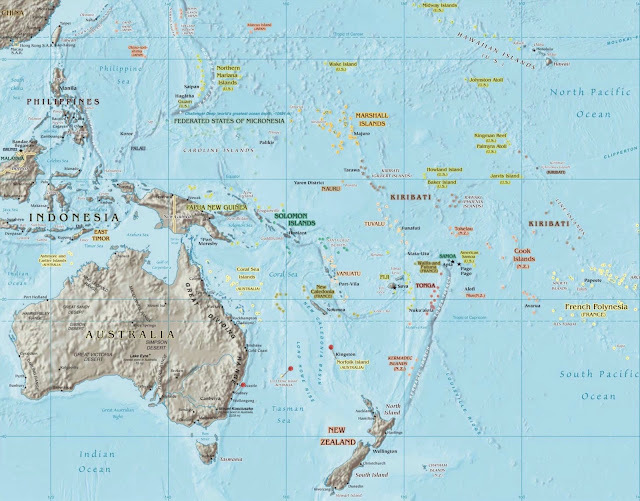 Spanning across Oceania, China is also showing deep interest in the Federated States of Micronesia, Tonga, the Solomon Islands, Fiji, Papua New Guinea and Samoa. Each island nation, analysts say, provides potential military logistics and intelligence facility sites…. 4-23-18 In Beijing, speaking in Mandarin, Kevin Rudd (aka "Lu Kewen") offered honest criticism and sought to be a zhengyou--a true friend who ‘offers unflinching advice and counsels restraint’ on contentious matters. He proposed ‘a straightforward discussion’ about ‘significant human rights problems in Tibet’. China decided it had problems with Lu Kewen. Two years later, in the Morrison Lecture, reflecting on the icy age, Rudd described three chilly scenarios: (1) China as threat; (2) China as direct competitor with the US for control of the international system; or (3) China as self-absorbed mercantilist bully. The diplomatic pressure Beijing applied to Rudd threw up a notable document: the terms of the ceasefire negotiated in the Australia–China joint statement in October 2009. In December 2017, Xinjiang authorities mobilized more than a million cadres to spend a week living in homes primarily in the countryside. … In early 2018 Xinjiang authorities extended this “home stay” program. 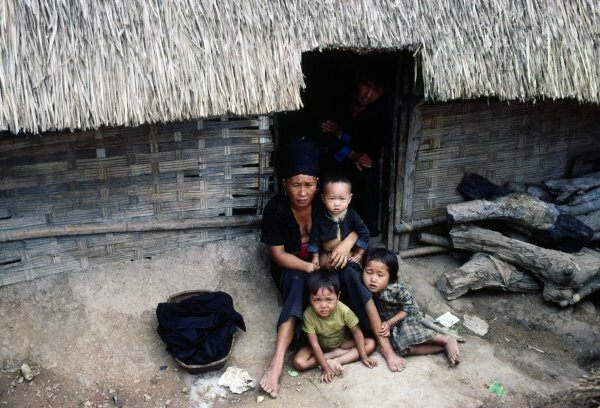 Cadres spend at least five days every two months in the families’ homes. There is no evidence to suggest that families can refuse such visits.